If you missed our January webinar, 10 Steps to User Experience Success: Microsoft Office 365, we hope you’ll check it out. You can access the recording here. This webinar highlights how how you can make your organization’s Office 365 migration a success. If you’d prefer to see us present 10 Steps to User Experience Success: Microsoft Office 365 in person, we’ll be at the DFW Business Intelligence Community Monthly Lunch Meeting on February 15th from 11:30 a.m. to 1:00 p.m. This meeting happens monthly at Noah’s Event Center in Irving. Come have lunch with us and leave with great insight on how Office 365 can work in your organization! More info, and link to RSVP on our Events page. Our February webinar – 8 Steps For Creating A Disaster Recovery Solution & Plan – will be Tuesday, February 28th from 10:00 – 10:30 a.m. Be on the lookout soon for your invite. After you RSVP, you can expect to receive an Outlook calendar appointment with all relevant details inside. Every business should have a comprehensive backup and disaster recovery solution and plan. During times of disaster, most businesses without an implemented disaster recovery plan go out of business, as they are unable to recover from the loss of systems and data. 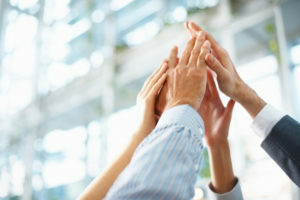 Step 1 – Remember that IT Disaster Recovery and Business Continuity go together. Step 2 – Perform a Business Impact Analysis to identify Discrete IT Systems and Business Impact of outages. Step 3 – Create your Backup & Disaster Recovery Strategy based on the Business Impact Analysis results. Step 4 – Remember that your strategy should include High Availability, Redundancy, Backups, and Off-Site Storage. Step 5 – Put together your Disaster Recovery Documentation and Plan. Step 6 – Put together your Budget and Timeline for implementing your Backup and Disaster Recovery Solutions. Step 7 – Test Disaster Recovery Solution regularly. 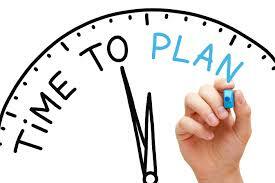 Step 8 – Update your Disaster Recovery Solution and Plan annually or when things change. 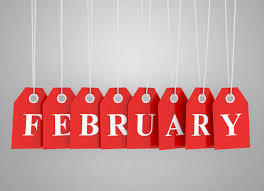 Register here for February’s webinar and, of course, always feel free to reach out to us by phone at 817-337-0300 or email if you would like assistance asap! We know, chances are you have one or more New Year’s resolutions you have committed to for 2017. We hope you are still keeping those resolutions and moving towards your goal(s)! What resolutions have you made regarding your business? Perhaps it’s around more work life balance, or becoming a more effective leader. Our challenge for you is to come up with a people strategy for your business. OK, your next question is going to be, ‘where do I start?’ That’s what this article is about, so don’t panic and keep reading. Three key people processes that may need a “tune up,” a major overhaul, or perhaps just getting started. Invest in your leadership team by training them. At least 95% of high-performing companies have one thing in common – good leadership. Whatever training you put into your leaders will pay off exponentially in your top and bottom financial line success. If you can afford formal leadership training great, there are plenty of options for good outside experts to support your needs, we can help you with ideas there. If you don’t have the luxury to afford an outside expert; you can start small, have your leadership team read a good leadership book each month or each quarter. Have your leaders all read the same book and then spend 1-2 hours per month discussing “golden nuggets” they gleaned from the book and most importantly, how they are going to apply those “golden nuggets” into their leadership style. Here’s a few to consider putting on the list. Create a talent management process for your employees. What the heck is a talent management process? It’s actually simple, yet complex. Every company, regardless of size, has a performance curve of top and bottom performers. Yes, we did say every company. You have a top 25% of performers and a bottom 25% of performers. The top 25% drive your business success, and of course, your bottom 25% slow down your business success. If you move the performance level of your lower performers higher, that will drive business success. Also, candidly, if you exit lower performers you can upgrade your talent and find higher performers to replace them. Discussing the performance level of your staff on a quarterly basis is not only a good thing, it will also help you make good people-decisions that will impact your business’s success. Hold regular review or “touch base” meetings with employees; monthly or quarterly meetings with employees are great. We challenge you to implement all three of these initiatives above in the first quarter of this year! If you need help, please feel free to reach out to us to have a discussion on how to get started. Whatever your HR needs – whether putting together a compliant employee handbook, acquiring a new business, helping you lower your employee turnover or going through a major transformation within your company – we can support your needs. We are available for retained or project-based engagements. No HR need is too big or too small. Feel free to reach out to Mark via email if you’d like more information. During a client’s recent SPOT Managed IT Services Quarterly Business Review, we discussed the current backup and disaster recovery process. After reviewing the Recovery Time Objective (RTO) and Recovery Point Objective (RPO) for each IT system, the client determined that the RTO and RPO weren’t sufficient for their most critical systems (too much down time and too much data lost). They were also concerned about Ransomware and other potential malware causing them data loss or down time. The best part of the solution for the client was that it required zero upfront cost, and was an add-on to their monthly SPOT Managed IT Services agreement. In addition, SPOT Protect Backup & Disaster Recovery is completely automated, and meets HIPAA and compliance needs. Fulcrum Group manages SPOT Protect Backup & Disaster Recovery for the client, and even performs quarterly tests of the backup system. If your backup and disaster recovery solution isn’t meeting your requirements, or you just aren’t sure what your needs are, contact The Fulcrum Group via email or at (817) 337-0300 for a free backup & disaster recovery audit. This book introduces the “Hedgehog Concept” for finding what drives your business and imparting the importance of Level Five Leadership. It also emphasizes strategic decisionmaking over being simply a competent supervisor. We’re always up for some lively book-banter! Share your favorites with us on our Facebook page! For $199 a month, SPOT Protect Server Protection includes local and Cloud storage, up to 1 terabyte. Contact your Fulcrum Group Account Manager today for more details!